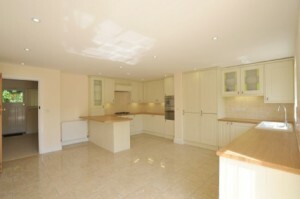 New tenants of a 4 bedroom family home in Wheatley will be moving into their new home this week. The property was built in 1926 and has been owned by the female members of the same family since new and was passed down from mother to daughter to granddaughter. The current owner and her husband decided to extend the house and extensively refurbish and modernise it in 2009. This included building a new garage where chickens were once kept. The architect they worked with was Peter Pritchard of PPA Architecture in Oxford who has been a tenant in 3 separate FK East Oxford properties in the last 5 years. When the owners told Peter that they wanted to let the house he immediately recommended Finders Keepers as the agent of choice in Oxford for letting and property management. We were delighted to help and are very happy that the home has found some deserving new occupants.